Trying to find instant approval payday loans is a tiresome task. You'll waste more time trying to figure out which lender is going to approve your loan the fastest as you would had you just applied with the first one that you found! In this post I want to help you understand what happens when you apply for a loan, and offer up some tips for making the process as fast as it can possibly be. Applying for a loan online is very different than doing so at a loan office. Sure, the application will look the same, but what happens after you submit it is different. As soon as you hit submit your application is pre-qualified electronically. They check to see if there is anything that automatically declines you from a loan. If you aren't qualified at this stage you'll find out immediately. If the loan makes it through this phase it goes to the lender for review. They will then send your information to a company called Teletrack who will compare what you put on the application against public record to make sure that everything you put on there is accurate. Once this happens it goes back to the lender for final approval. To speed this process up you have to pre-qualify yourself. Make sure that you're only applying with lenders that are going to approve you. Wasting time by filling out applications that aren't going to go anywhere isn't going to help you out a bit! Read through everything on their website to make sure that they're going to be able to help you out. Another thing that can make it faster is to not get fast cash online. Instead, hop in your car and head to your local lender. They will cut you a check right there, instead of forcing you to wait for your bank to approve the transfer of money into your checking account like online lenders do. Payday loans are fast, but no one is going to approve your application instantly. Understanding the process helps you make better decisions, and using the tips above are going to help you get paid as quickly as possible! 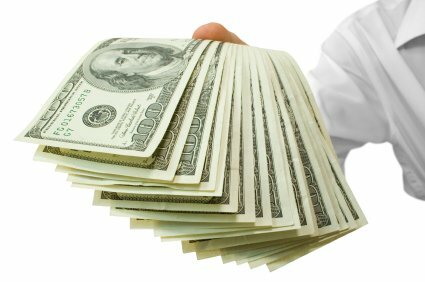 SolidWheel.com > Finance > Do Instant Approval Payday Loans Even Exist?